Lock in a great price for Transamerica Prestige - Beach Class International – rated 8.7 by recent guests! The room was to die for. Beauitful view, large and spaces, very clean. Breakfast was the BEST ever which was included in room price. Staff extreamley helpful. Room price execellent..
Great Hotel. My second time to stay at this property. Rooms are larger than normal and provide great space. Staff is very friendly and helpful. Right on the beach. 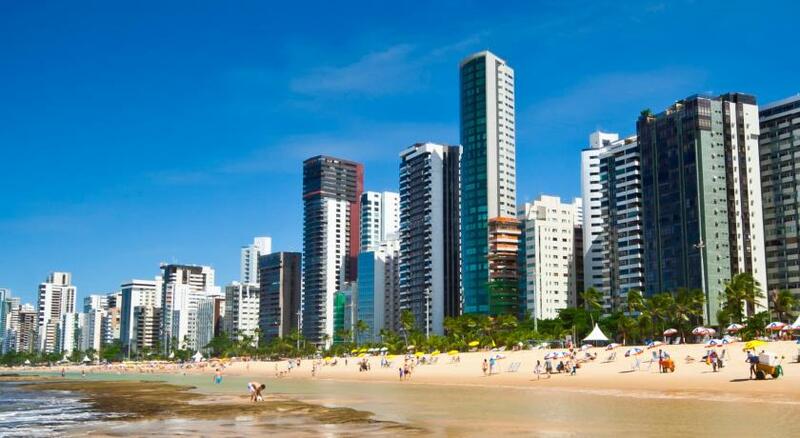 Will stay ere again when I am in Recife. The small balcony had a superb view of the ocean and was a delightful place to relax. Vista incrível nos andares mais altos. Café da manhã. Transamerica Prestige - Beach Class International This rating is a reflection of how the property compares to the industry standard when it comes to price, facilities and services available. It's based on a self-evaluation by the property. Use this rating to help choose your stay! 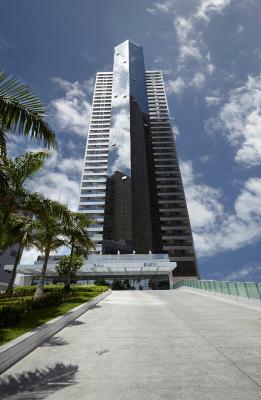 One of our top picks in Recife.The Transamérica Prestige hotel is located in Recife, right across Boa Viagem Beach. It features an outdoor pool, a modern gym and 24-hour room service. Wi-Fi is free. The air-conditioned rooms of this 4-star hotel offer a luxurious décor, and boast scenic sea views. All feature a mini-bar, cable TV and living room. Transamérica Prestige – Beach Class International serves tropical fruits and breads at the buffet breakfast. Guests can enjoy exotic drinks on the terrace, or taste international and local cuisines at the restaurant. Gilberto Freyre International Airport is only 4.1 mi from the hotel, and Pernambuca Convention Center is 6.8 mi away. Recife Shopping Center can be reached within a 5-minute drive. When would you like to stay at Transamerica Prestige - Beach Class International? Sophistication, comfort and modern architecture which enables all the rooms to face the ocean of Boa Viagem Beach. Including a bedroom with one double bed, living room, mini-bar, cable TV, a desk, a safe and room service, available until midnight. Sophistication, comfort and modern architecture which enables all the rooms to face the ocean of Boa Viagem Beach. Including a bedroom with two single beds, living room, mini-bar, cable TV, a desk, a safe and room service, available until midnight. Sophistication, comfort, and modern architecture enable all the rooms to face the ocean of Boa Viagem Beach. Including a bedroom with two single beds, living room, minibar, cable TV,a desk, a safe and room service, available until midnight. The comfortable apartments and the elegant structure give to the guests a unique experience. Its wide events area with a complete infrastructure composes one more attraction to the hotel. House Rules Transamerica Prestige - Beach Class International takes special requests – add in the next step! Transamerica Prestige - Beach Class International accepts these cards and reserves the right to temporarily hold an amount prior to arrival. Please note bed type requests for single occupancy are subject to availability and need to be confirmed by the hotel. The elevator's button is not really good. Beach area was disappointing, not much shopping around hotel.. I expected a newer hotel. The safe wasn't working, the hotel staff is very slow when it comes to room service (and many times they don't even attend to your request - you wait and they never come), the restaurant charges to lend plates and cutlery (I wanted to borrow a plate, knife and fork to eat a meal in my room and they informed me they would charge me. I've never seen this anywhere in the world!). The hotel is located in front of the beach and offers no beach service whatsoever (chairs, etc., like anywhere else in Brazil). I was somewhat disappointed. We did not sleep that well as there were strange noises inside the bedroom walls (maybe air-conditioning or water pipes making constant creaking noises) and light and noise from the main corridor are a problem .. the rooms are not well sound proofed and the main door allows light to enter underneath and again not well sound proofed! Elevator Buttons didn't work reliable, if not at all. Found myself in wrong floors. The location is good for the beach but not for the center.